Self contained, easy-to-use, memory based, fully integrated stand alone instrumentation systems provide the user with a windows based motion analysis tool utilizing a USB 2.0 interface at an affordable price! Get the Datasheet to view the HotShot Mega sc Product Specifications Sheet. 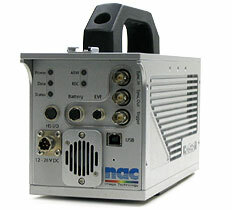 Get the Datasheet to view the HotShot 512 sc Product Specifications Sheet. Get the Datasheet to view the MCWI Module Product Specifications Sheet. Applications for the HotShot sc cameras: Manufacturing and Production, Research/Design/Test, Aerospace, Automotive Safety, Transportation, Range and Ballistics. 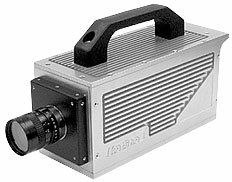 The HotShot INT Cameras are available in two (2) models. 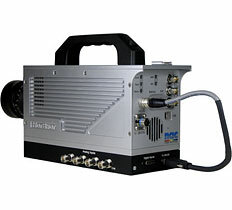 The standard system consists of: Camera Head & PCI Card, 5m Camera Link/Power Cable Assembly and Control Software. Upgraded INT camera system includes: Integrated Power/Trigger Assembly, Instrumentation Control Console and USB Micro Keyboard. 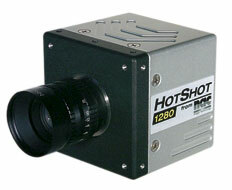 Get the Datasheet to view the HotShot 1280 INT Product Specifications Sheet. 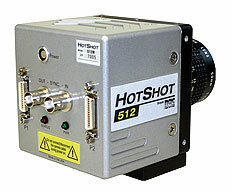 Get the Datasheet to view the HotShot 512 INT Product Specifications Sheet. Applications for the HotShot INT cameras: Manufacturing and Production, Research/Design/Test, Aerospace, Automotive Safety, Transportation, Range and Ballistics.